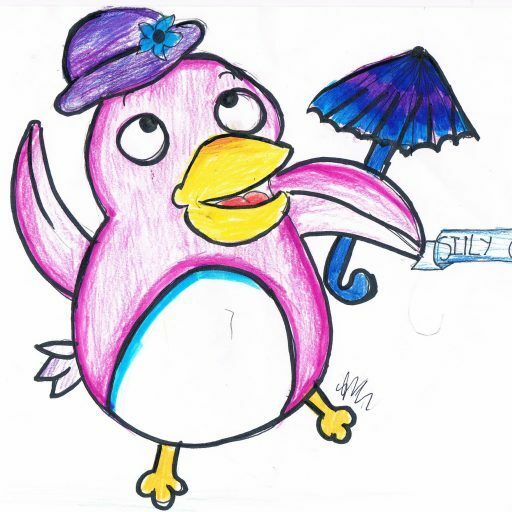 The Silly Goose Blog – For all things creative and fun! hey guys! ok so i made a few more niche memes and i wanted to share them with you. Let me know what you think. ok so the first one has this really cool neon vaporwave aesthetic that i love omg and then the second one is kinda dreamy and more original i suppose. which one do you prefer?let me know in the comments. toodles! Hey guys! so I’m aware that I’ve been gone for a pretty long time but I’ve been really busy. I’m starting high school so I’m going to be honest and say that I can’t really promise that I will post more but I’ll try. I’m trying many new things and I really wanna share them. I haven’t really made any new artworks lately but there might be new content coming soon! Hello guys ! how are you? So recently I bought this Crayola calligraphy set. I actually didn’t know that Crayola made these kinds of things, I’m kinda surprised, there was even a blending marker set which was cool but I didn’t get it. Anyway I was really excited to use this set, it came with 8 colored markers, 2 brush tip markers, 2 gel pens, an instruction guide and also a tutorial book kind of thing with practice sheets and things. So at first I started off with practicing letters and brush strokes, then as I progressed I started writing sentences, from then on I learnt more and more! However my writing is still really uneven and wonky which I’m working and practicing on. Anyway, that’s all for you guys today! I’ll keep ya’ll updated on my progress! Happy Halloween by the way! (there might be a Halloween special coming up :0) TOOODLESSS!! So yeah that’s all, see you guys next time TOOOODLESSSSSSS!!!!!!!! Hey guys! I’m back with another post! soo recently went to Tasmania, and it was really cool there with the penguins and shops but also when I was there I did do a few drawings and I’d like to share this one with you! So me and my friend were doing this drawing challenge, where we had to pick a topic for example ‘cat’ and we would draw something related to a cat with only the art supplies we had. This time the theme was ‘space’ and so when I first read that word, the idea of planets flew into my mind, and so did the solar system and of course, a galaxy. Originally I had planned to color this piece in galactic colors but then I decided that it would look better without. Anyways let me know what you all think, do you want more of this type of content or something different!? Also criticism is welcome, well that’s all for this post TOOODLESS!!!!!! Hey guys! i’m so sorry I haven’t posted in a while, I’ve been quite busy with school. But- I’m back! expect more posts soon! see ya! TOOODDLESSSSSSSSS! Hey guys ! I’m back and I drew Tom Holland as peter Parker, I tried my best but I’m not too happy with it. Peter Parker is Spider-Man, who is one of my fav superheroes from marvel ! I will probs try this again, I made this with colour pencils. Anyways I hoped y’all liked this! See you next time.. TOOODLLESSSS !! !